1. How do I place an order and get my file to you? 2. What kinds of payment do you accept? 3. Can I charge my order to my student account? 4. How much will my order cost? 5. How long do orders take? 6. How will I know when my print order is ready? 7. Will the color I see on my screen be the same as what the copier reproduces? 8. Do you make presentation posters? 9. What file types do you accept? 10. How do I save my file as a PDF? 11. Can I send Photoshop, JPEG, Word, PowerPoint, Excel, or Pages files to be printed? 12. Can I send a JPEG, PNG, or GIF off the web to be printed? 13. How do I resize or crop an image? 14. If I created my job as 8.5"x11", can you blow it up to 11" x 17" ? 15. What software is best for creating wide format posters or banners? 16. How can I tell what size (dimensions) my PDF is? 17. What are your standard paper sizes? 18. What is the largest size you can print? 19. Can I use my own paper? 20. Do you have photo paper? 21. What paper colors do you have? 22. What types of paper do you have for printing? 23. Who can use your services? 24. Can I just come in and print my job? 25. Can I have my class notes or loose leaf textbook bound? 26. Do you distribute posters around campus? 27. How do I tell if my copier is getting low on toner? 28. How do I replace the toner in my copier? 29. How do I tell what color of toner I need? 30. How do I tell when the waste toner cartridge needs to be replaced? 31. How do I replace the waste toner cartridge? 32. Does my copier use a waste toner cartridge? 33. How do I replace the staples in my copier? 34. Can I use copier staples in my desktop stapler? All files must be saved as PDFs when submitting an order. We cannot print from JPEGs or other image files, PowerPoint slides, Word Documents, Illustrator, InDesign, Photoshop, or any other file that is not a PDF. Need help saving your file as a PDF? 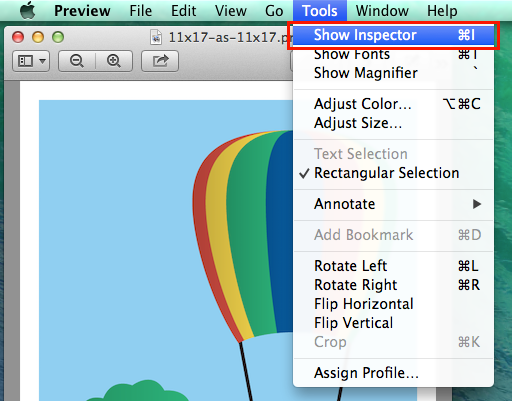 See our step-by-stepwalkthroughs on how to save your file as a PDF. We also have many ready made templates to make designing projects easy! Open up the file to double check everything. Is the document the right size? Nothing cut off or missing? 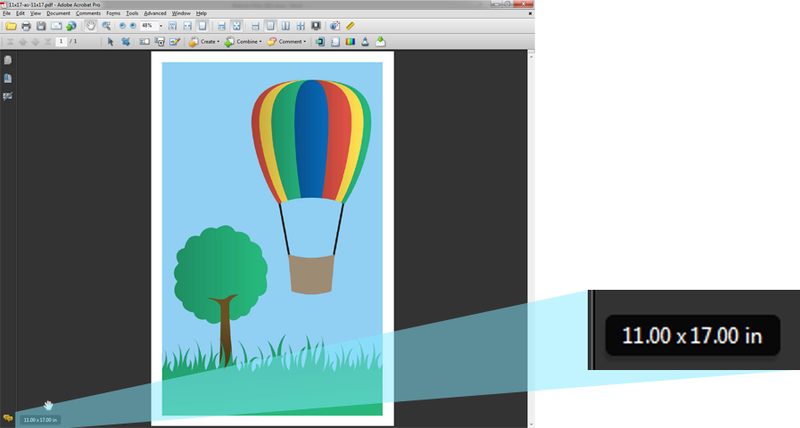 What you see is how your file will print! Submit your order through our online order system, and you're done! Submit your order through our online order system, then select to either pay online, or in-person at Print & Copy Services. Note: If your personal or university order does not require printing (e.g. lamination of an already existing item, or photocopying something already printed), please submit your order online and drop off your physical item(s) at Print & copy Services. We require pre-payment for all personal orders. If you have already paid online, you are good-to-go for payment. If you opted to pay at Print & Copy Services, please stop by during our regular hours (Monday - Friday, 8am - 5pm). We accept cash, checks, Visa, Mastercard, American Express, and Discover. We accept cash, checks, credit or debit. Once you have paid for your print request, we will begin processing your order and should have it ready for pick up shortly! For personal orders, we accept cash, checks, and debit/credit cards, including Visa, MasterCard, Discover, and American Express. For university departmental or club orders, you need to provide your department or club Speedchart number when you place your order online. 3. Can I charge my order to my student account, or use PrintGreen credits? Unfortunately, we are unable to charge student accounts or accept PrintGreen credits. At this time, we're only able to accept the payment methods: cash, check, debit & credit cards, and university club or department Speedchart codes. The cost of your order depends on what you are having printed. Please visit our Prices page for specific costs. Additionally, most of our online order forms will preview the price for you before you place your order. If you'd like an estimate on your order prior to printing, just ask! If possible, we prefer to have at least two full business days (48 hours) to complete an order, though orders can often be completed in 24 hours or less, if needed. Larger orders and orders that require additional finishing, such as cutting or folding, could take longer. Rush orders (orders with less than a 2-day turnaround, or 2-week turnaround for wide format) will be charged a rush fee. You can expect your order to be ready by the due date you give us. We will try to contact you when your order has been completed, but come in even if you haven’t heard from us by your due date. We are always available by email at print@pugetsound.edu or by phone during business hours at 253.879.3737, if you would like to check on the status of your order. We try to get as close to the color on the screen as possible, however not all screens display the exact same colors. If you are concerned about how color will be reproduced, we encourage you to request to see a proof prior to your full order being printed. 8. Can you print presentation posters? Yes. We can print presentation posters in just about any size you need. The most common size for presentation posters is 48" x 36". If you wish to mount your poster, we recommend printing them at this size. 48" x 36" poster boards are available to purchase through the Bookstore. For help saving your files as PDFs that are small enough to email, please see our guides on saving your files as PDFs. You can save your file as a PDF in a variety of ways. Please see our step-by-step guides and walkthroughs for instructions. If you are having difficulty saving your file as a PDF, please give us a call or stop by our office with your Laptop. We are happy to offer any assistance we can. We need all files to be saved as PDFs when submitting an order. For help saving your files as PDFs that are small enough to email, please visit our step-by-step guides and walkthroughs. You will need to save the JPG, PNG, or GIF as a PDF before submitting your order. PLEASE NOTE: Many images taken from the web are very low resolution and will look pixilated when printed. We recommend printing a black & white version in one of the computer labs around campus before printing a color version. If it looks pixilated in black & white, it will look pixilated in color too. The best way to resize or crop an image is through Photoshop or GIMP, however other software like Word, Publisher, and Pages can also be used. For more specific instructions, please visit our step-by-step guides and walkthroughs. 14. If I created my job as 8.5"x11" (Letter), can you blow it up to 11" x 17" (Tabloid)? We can enlarge it as closely to 11x17 as possible, but there will be large white margins on two of the sides (see below). We strongly recommend creating your poster at the size you intend to print it. We recommend using Microsoft Publisher. It is available to all students, staff, and faculty through vDesk. However, please be sure to save your Publisher document as a PDF before placing your order. We have provided Publisher templates to get you started. However, other programs that work well for wide format posters and banners are Pages, Illustrator, InDesign, Inkscape, and Scribus. If you are printing a presentation poster, please review our presentation poster checklist. Open your PDF in Adobe Acrobat or Foxit PDF Reader (available through vDesk). You can also use the professional versions of this software: Acrobat Pro and Foxit PhantomPDF. A new window will open. 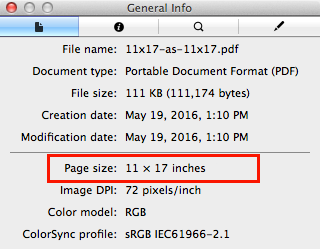 The measurements for Page Size indicate the PDF's size. The largest standard size we can print is 13" x 19". The largest we can print on our wide format printer is 52" x 1800" (approx. 4.5 feet x 150 feet). Not all sizes are available for all media types. 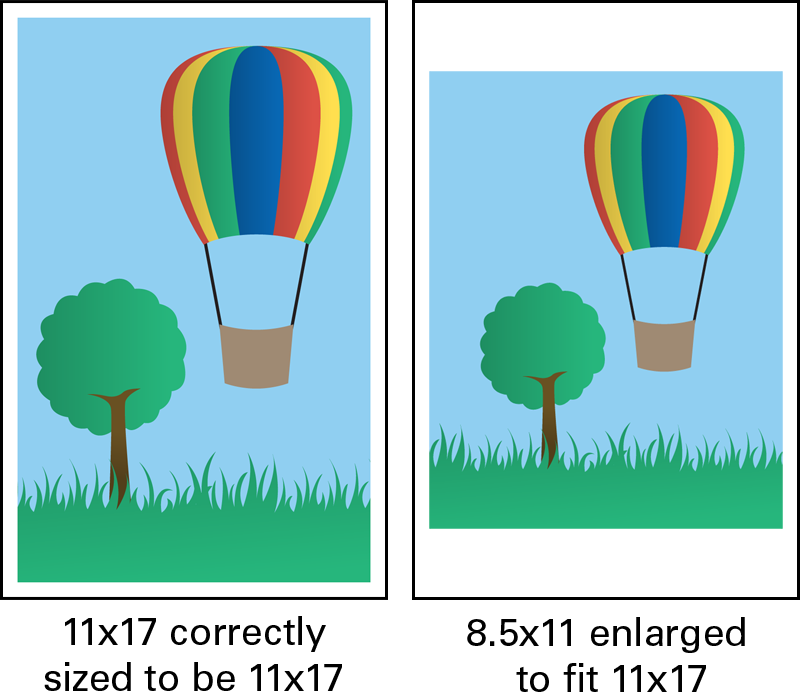 We recommend checking with us if you're unsure what size you need for your wide format print. No, it could cause damage to the copier. Some paper is too heavy. Some paper has fibers, unusual coatings, or metallics that harm copiers. Print & Copy Services offers a wide variety of paper. Please stop by to see what we have available. We have a high-quality cardstock that produces excellent looking photos. We offer colored paper in pastels, astrobrights, Royal Fiber, and astroparche. Please stop by Print & Copy Services, or view our color Paper Selection online. For black & white prints we have standard white 20# copy paper. For color prints we use a high-quality 70#, white, uncoated paper, which has a semi-glossy appearance after printing. It's heavier than standard copy paper, but not as heavy as cardstock. If you are printing in color, your print will automatically be printed on this paper, unless otherwise requested. We also have available: cardstock, colored paper, 100% recyled 20# copy paper, and several specialty papers, such as linen and heavier stationery-style paper. Please stop by the Print & Copy Services office to look through our sample book of paper options. Our services are available to the entire campus community, including students, staff, faculty, neighbors, and guests to our campus. 24.Can I just come in and print my job? We do not have any personal access computers or copiers for you to print directly. For personal orders files need to be saved as PDFs and emailed to us at print@pugetsound.edu. Department or club orders are placed through our online order system. All files must be saved as PDFs. Department & Club photocopies can be dropped off with us after placing your order online. There is also a cash copier in the library, near the Library Commons, that is available for personal use. 25. Can I have my loose-leaf textbook or class notes bound? Distributing posters is not one of the services we offer. Contact ASUPS for questions about campus poster distribution. Follow the on-screen instructions on the copier. There are also instructions on the box the toner comes in. If you have any questions, or are unsure how to replace the toner in your copier, please contact Print & Copy Services. 29. How do I tell what color of toner I need for my copier? 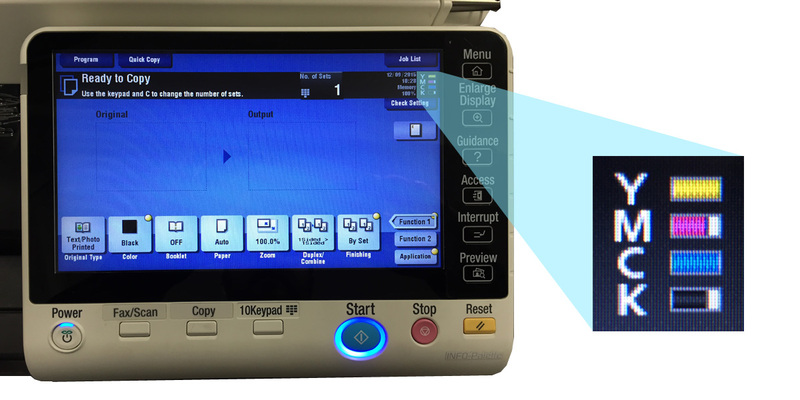 The screen on the copier will tell you what colors are needed (Cyan, Magenta, Yellow or Black). If you have a black & white copier, it may only say that it needs more toner. 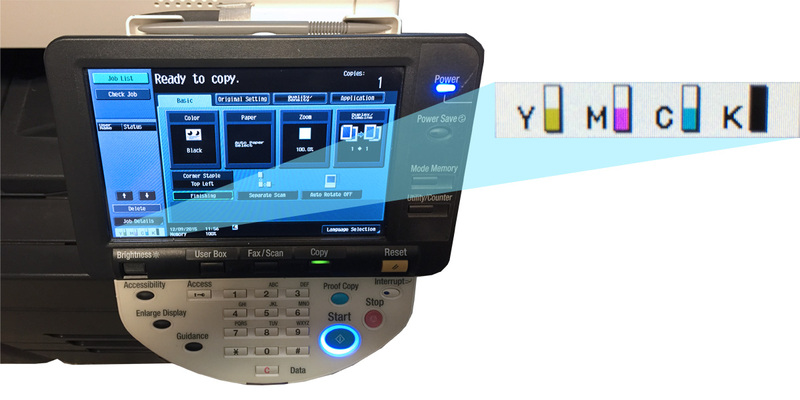 Copiers that use a waste toner cartridge will display a message on the main screen when the waste toner cartridge is close to being full. When the message changes to indicate that its time to replace the waste toner cartridge, contact Print & Copy Services and we will replace the waste toner cartridge for you. Contact Print & Copy Services when copier's waste toner cartridge needs to be replaced. We are happy to come out and replace it for you. Pull out the empty staple cartridge carrier. Replace the empty cartridge with the new cartridge. Place cartridge carrier back in copier and close finisher door. DO NOT attempt to refill the staple cartridges with individual staples. Be sure to follow the specific instructions for replacing staples as they are displayed on the inside of the finisher door of your copier. If you are unsure about replacing staples in your copier, please contact Print & Copy Services. No. Copiers staples are only designed to fit in the staple cartridges for each respective copier. Do not remove the staples from the cartridges. If you have any additional questions, contact Print & Copy Services at print@pugetsound.edu or 253.879.3737.